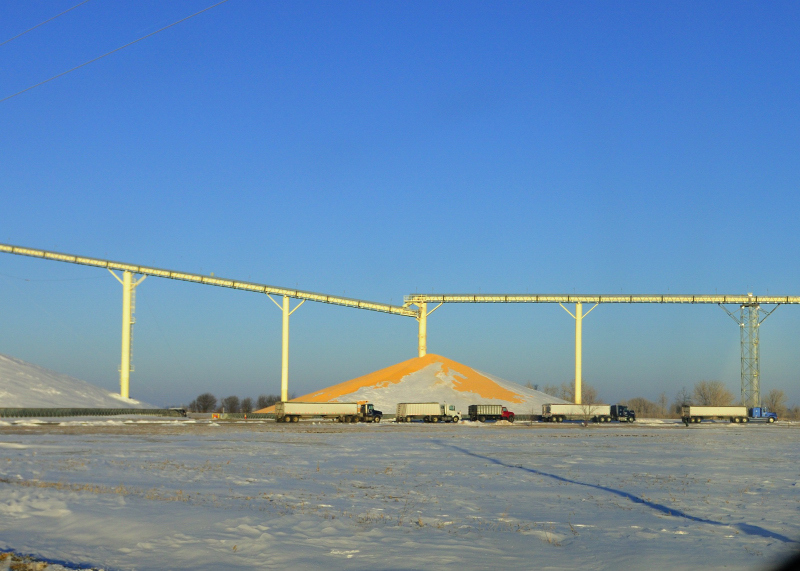 Grain trucks continue to line up at the local elevator. Odd sight in IL for farmers. Usually in January they are on vacation!